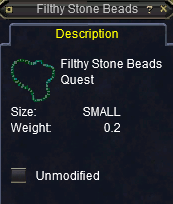 What quest is this for? Good question. It drops from a low level mob in the city so I'm guessing this is part of some low level ranking quest line for newbies to the city.